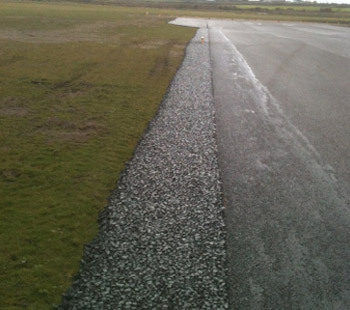 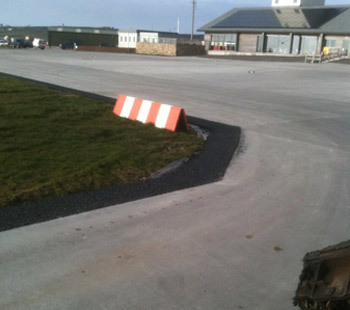 Since the mid 90’s we have supplied Sidewinders® for use on domestic and M.O.D runways providing the contractor the where with all to place high volumes of drainage media to open excavations adjacent to runways and taxiways in short working windows. 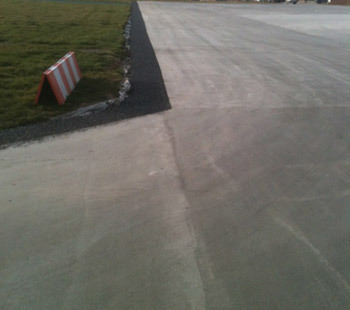 Pervious macadam is a product that does not hand lay easily but with our Sidewinders® surface water drainage systems can be topped out with speed and accuracy providing a quality professional finish while achieving good productivity within limited working windows. 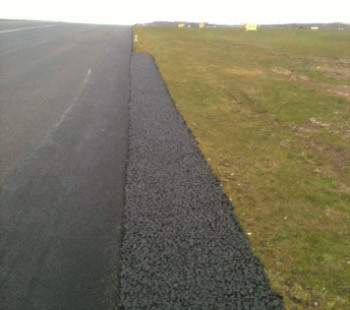 Our Sidewinders® have also been used to re-trim and re contour adjacent grass areas to meet the new drainage levels after apron overlays have been completed providing the final touch to the job. 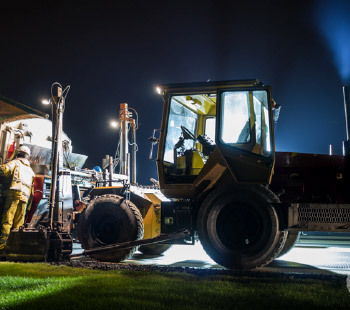 Either by placing imported screened topsoil or cultivating the existing soil and re-trimming to coincide with new surrounding levels our Sidewinders® have proved a valuable resource on many jobs, a selection of which we have listed below.